Tmrw.Tday is the perfect prelude to the summer, you’re able to use this time to relax and reflect on your goals for the rest of the year. I was happy to be apart of their second staging. Tmrw.Tday for me was a vacation, a mini vacay. I travelled from Kingston to Negril to enjoy their Reggae Showcase, which featured Notis Heavy Weight Rockaz and Kabaka Pyramid and the Bebble Rockers Band. Thanks to the Confluence team for giving this 876Lover a media pass to attend, now I’ll give my Jamaican perspective on this wonderful annual event. I’d been excited and started planning this little trip from in advance. I took the Knutsford Express to Negril and met up with my good friend, Vanessa, who was my parri for the weekend. We booked one of the nicest Airbnb’s I’ve ever stayed, at the Negril Club Condos by Mark and Valerie. 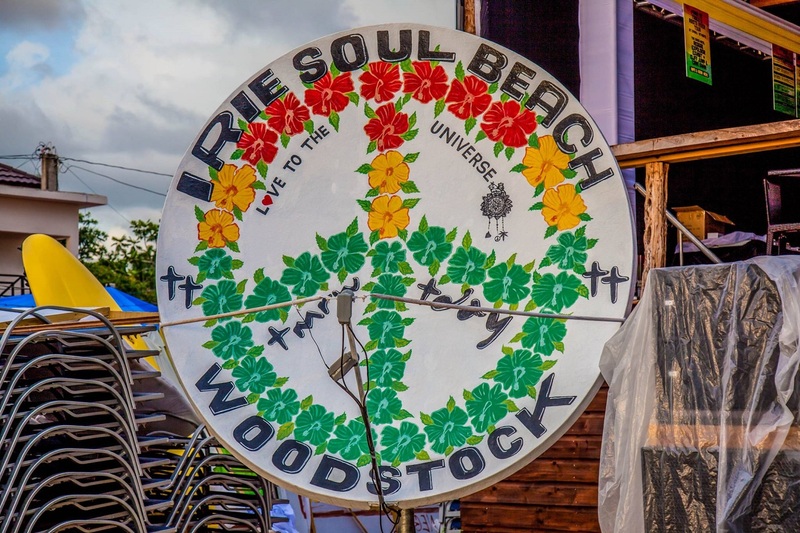 It sat close to Woodstock Bar and Grill or the Irie Soul Beach which housed a lot of the Tmrw.Tday activities, and the Reggae Showcase on May 6th, the Saturday night. The first thing to do in a new space was a little touring, so we explored the town a bit and Times Square Mall, before heading to the Irie Soul Beach to check out some of the Tmrw.Tday day activities. They had food options of all kinds, including a vegetarian offering from Veggie Meals on Wheels. The music was bumping and the vibes was nice and energetic. They had a lot of vendors on site as well, a souvenir I purchased is this ring from Earthtones Designs. 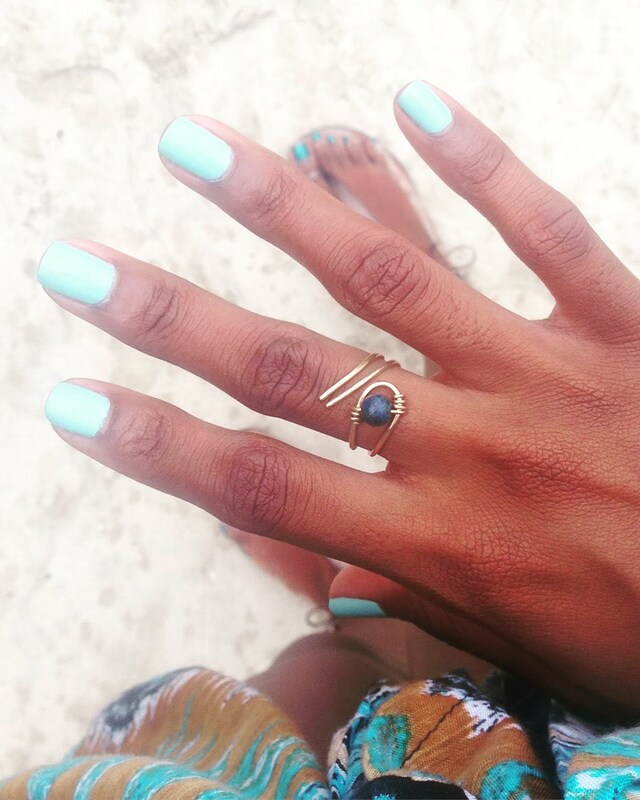 A copper ring with a chrysocolla stone from a vendor, Earthtones Designs. We did the most at the beach, taking all the photos we could while enjoying the atmosphere. The only downside was the forecast of rain, it started raining intermittently. We made the trod back to our airbnb, just to relax before the concert that night. It rained heavier but that didn’t put a downer on the show, it only lead to a delay in the running order. We arrived at the Irie Soul Beach and had to wade through puddles and sand to get to the concert venue. Thankfully I love the beach and I’d rather sandy feet than muddy ones. 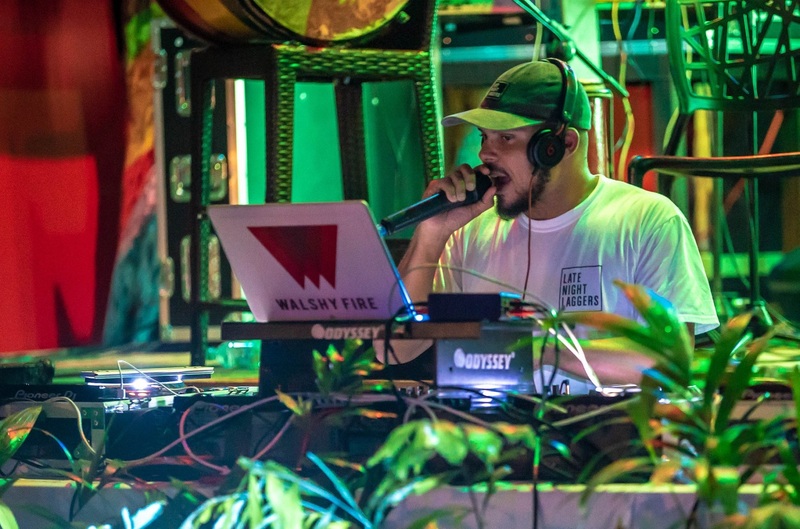 We walked into a sheltered reggae-afrobeat fusion party, with deejaying from Walshy Fire followed by Iset Sankofa. The opening act for the show was Notis Heavyweight Rockaz, starting with a strong instrumental consisting of the drums, bass, guitar, and the keyboards, they continued the reggae-fusion feel as they brought a somewhat rock sound. I enjoyed the reggae and rock mash-up, plus it showed their strengths on their instruments. They sang a few songs doing dub style mixes, they sang “Raggy Road” which has a dub and rock infused outro. The finale was a favourite of mine, “No Bad Days,” that left me with the euphoric feeling that I love from roots rock reggae music. 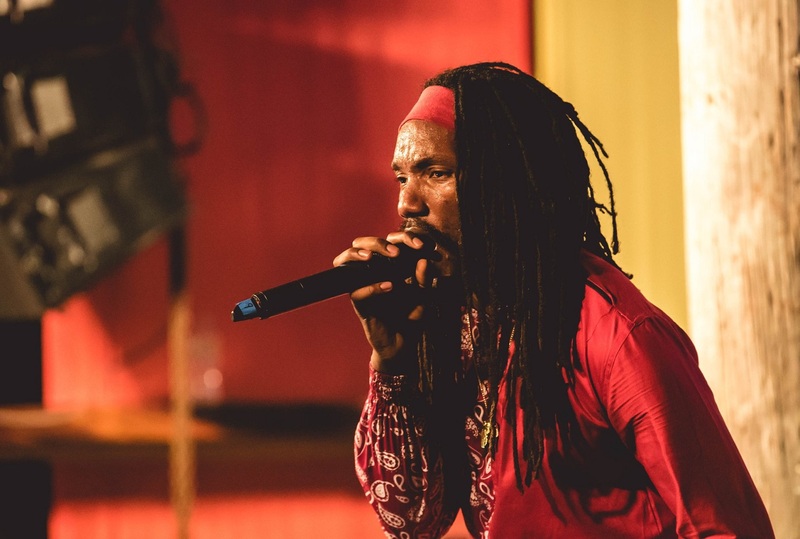 The headliner for the night was Kabaka Pyramid, he said they came right off the plane to make it to our little reggae concert on Negril’s 7 mile stretch of beach and for that, we really appreciated it. He gave a world-class performance, it wasn’t the first time I’d seen Kabaka Pyramid and the Bebble Rockers in concert but it had been a long while since the last time. He sang songs from about 2013 to some of his newest songs that are on his 2018 album, “Kontraband”. He sang “Never Gonna Be A Slave,” “No Capitalist,” and “Lead The Way” to name a few. The band was a well-oiled machine and the background singers sounded like honey. Kabaka had the crowd under his control as we rocked and grooved to the music, waving hands at his command. He and the band had an energy that was contagious. Some of the songs from his new album that he sang were “Can’t Breathe,” “Natural Woman,” “Kaught Up,” and my fave, “Borders”. By the end of the set, the crowd was begging for more. The rain didn’t stop the good vibes but merely slowed the start time, we simply accepted it as blessings, the second edition of Tmrw.Tday was great, and maybe more enthralling than the inaugural edition, I’m looking forward to what they will bring in 2019. This has been an annual event I’ve grown to look forward to and I hope next year you will come and experience the magic that is Tmrw.Tday. 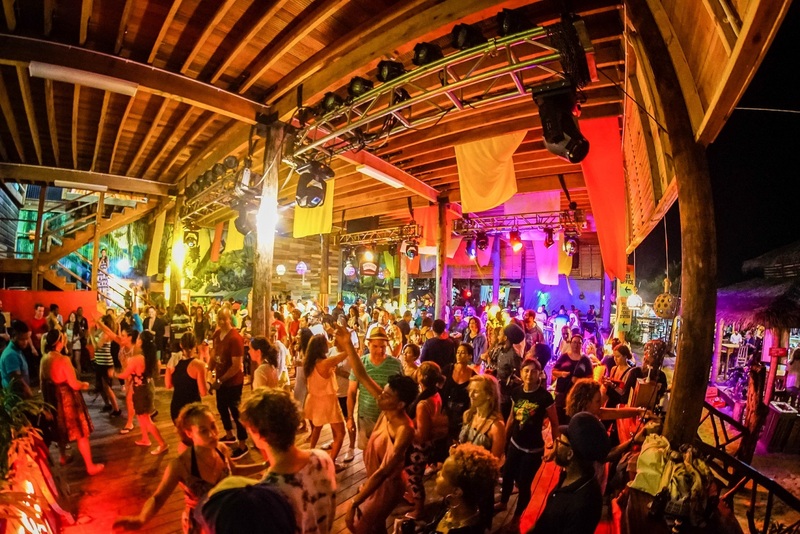 Check out their website TmrwTday.com for more information and to join the Good Vibez Tribe, keep abreast with updates for next year. The photos used in this article are from the Tmrw.Tday 2018 gallery by The Confluence.